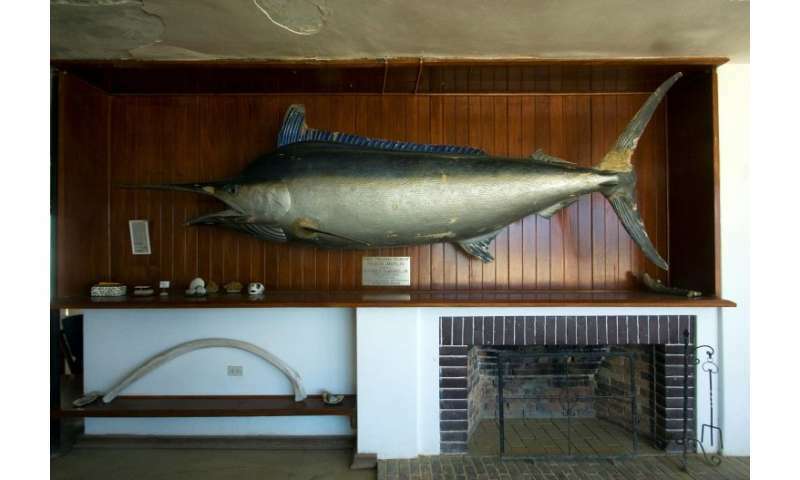 The men were fishing in the South China Sea last week when a six-foot (1.8 metre) marlin punctured their boat's wooden hull with its giant bill, vessel master Jimmy Batiller told AFP on Wednesday. Their 12-metre boat quickly dipped beneath the waves in the early evening of October 3, leaving the crew with little drinking water or food until their eventual rescue by the US Navy on Monday. "It (the fish) hit the bottom of our boat, leaving two big holes. We suspect it was chasing a smaller fish. It swam around the sinking boat for a while, apparently disorientated," Batiller said. The fishermen salvaged what they could, removing the outriggers, planks and barrels to create a makeshift raft. "Our water ran out after two days. We waved at passing commercial vessels but no one came to rescue us. But we did not lose hope," the 42-year-old father of one said, adding the crew also ate raw rice and drank some seawater. "When we were rescued, that was when our tears fell," said Batiller, who has since been reunited with his family in Subic, a port about 80 kilometres (50 miles) northwest of Manila. The US Navy said the men were lucky to survive, especially given the crew said they had drunk seawater. "On average, death results two to three days after a diet of drinking undiluted sea water or urine in survival-at-sea events as it takes more water than is consumed for the body to process the waste and salt out of the kidneys," Leon Hadley, the civilian chief mate from the ship which conducted the rescue, the USNS Wally Schirra, said. "Luckily, we were going at a slow enough speed to have spotted the fishermen," the Wally Schirra's master Keith Sauls added. "The individuals were waving their arms and a flag in the air. They were also flashing a white light that was previously thought to be fishing buoy," Sauls added in an account carried by the Defense Visual Information Distribution Service. The blue marlin is one of the open ocean's fastest, strongest predators and is also one of the largest species of bony fishes. It can grow up to five metres in length and weight as much as 820 kilogrammes. It is known for its long bill that grows from the front of its head which it uses to stun prey and was famously a leading character in Ernest Hemmingway's short novel 'The Old Man and the Sea'. Erman Besana, a coast guard operations officer for Subic, said they had not encountered a marlin sinking a ship before. "This is the first such incident we have encountered here. 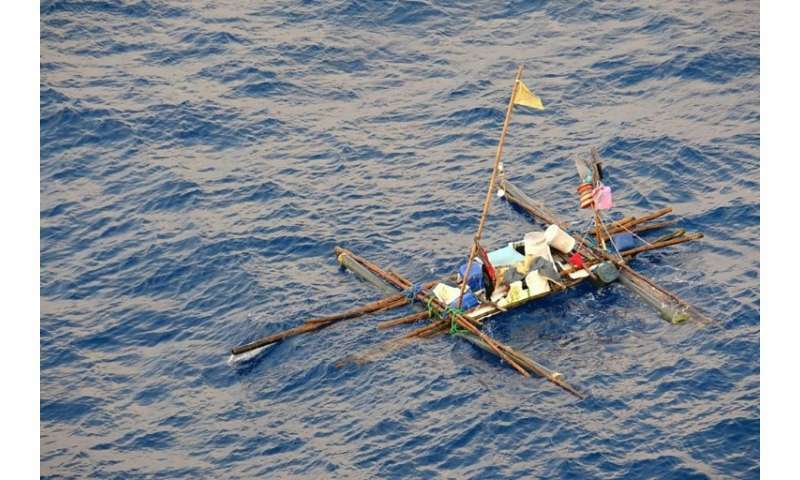 Most of the time it's bad weather sinking fishermen's boats in the open seas," he told AFP. Despite the near-death experience, Batiller said he and his crew plan to go back to sea after a few days' rest, provided they can find a new boat. "This is our job," he added.